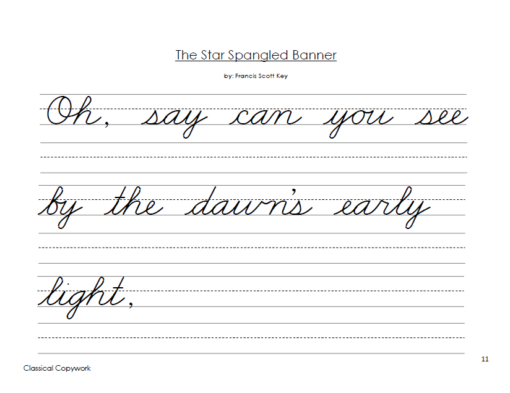 NEW FONT in both the Beginner and Elementary versions! If you are interested in this copywork pack being available in the Intermediate or Advanced levels, please send us a message. 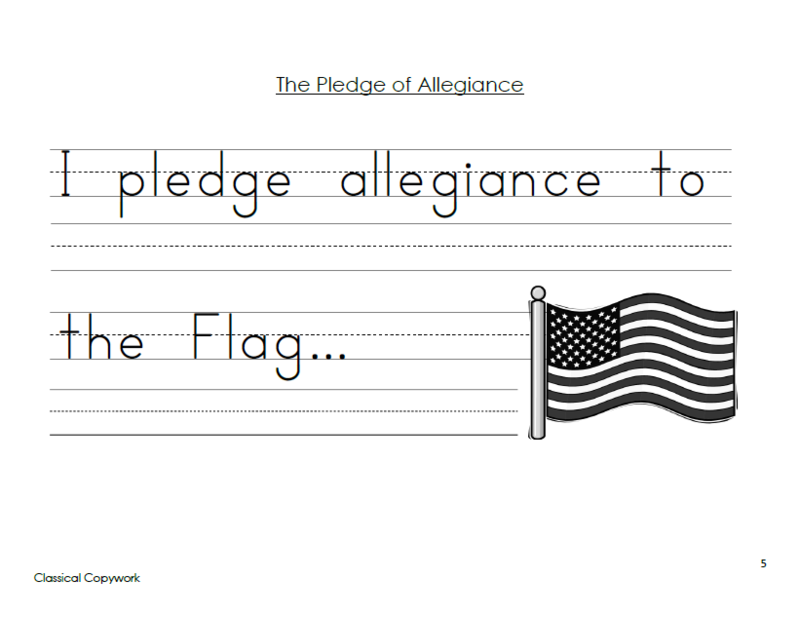 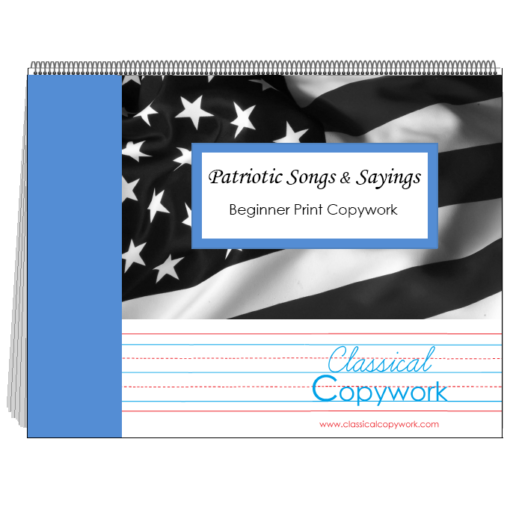 In this copywork pack you will find The Pledge of Allegiance, The Star Spangled Banner, America the Beautiful, My Country ‘Tis of Thee, The Preamble to the Constitution, God Bless America,The Mayflower Compact (Elementary version only) ,and the beginning of the Declaration of Independence (Elementary version only). 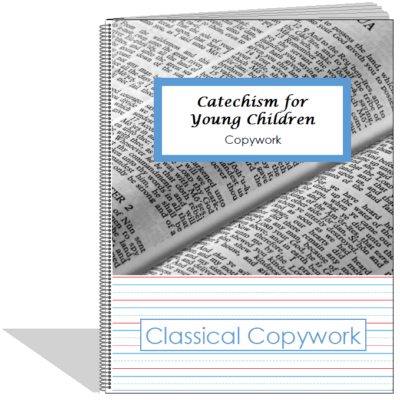 Each page is typed clearly for your beginning reader/writer to easily follow and has ruled lines directly underneath to easily copy. 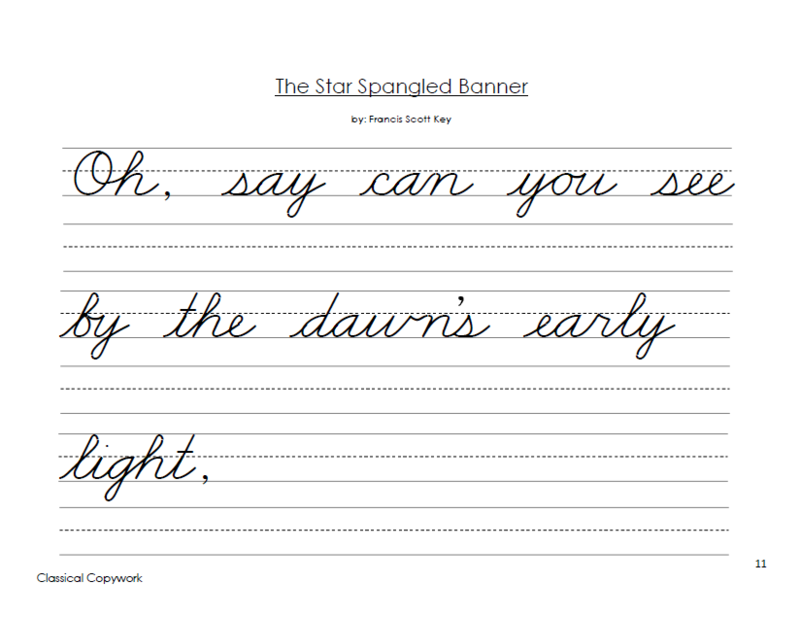 Beginner (42 pages) – The lines are about 5/8th inch tall with a mid-line to help your child position their letters correctly. 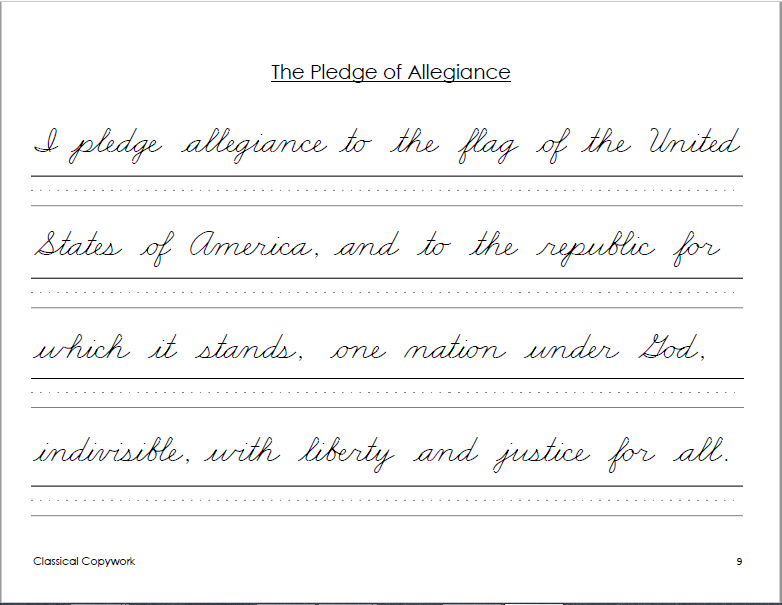 Elementary (44+ pages) – The lines are about 3/8th inch tall with a dashed mid-line to help your child position their letters correctly. 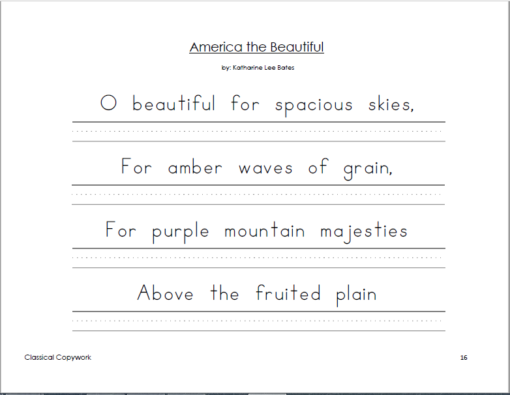 These pages are perfect to go along with your American History studies, patriotic holiday studies, or just for extra handwriting practice. 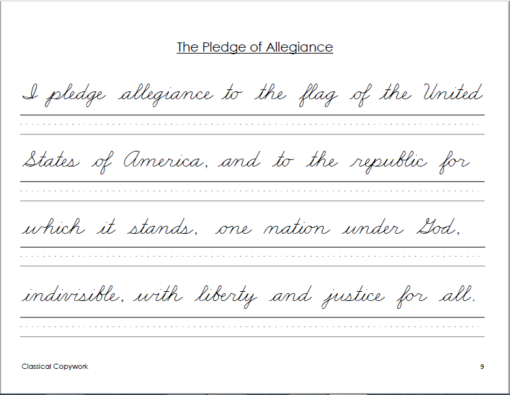 They will be especially beneficial if you intend to have your child memorize any of these pieces. 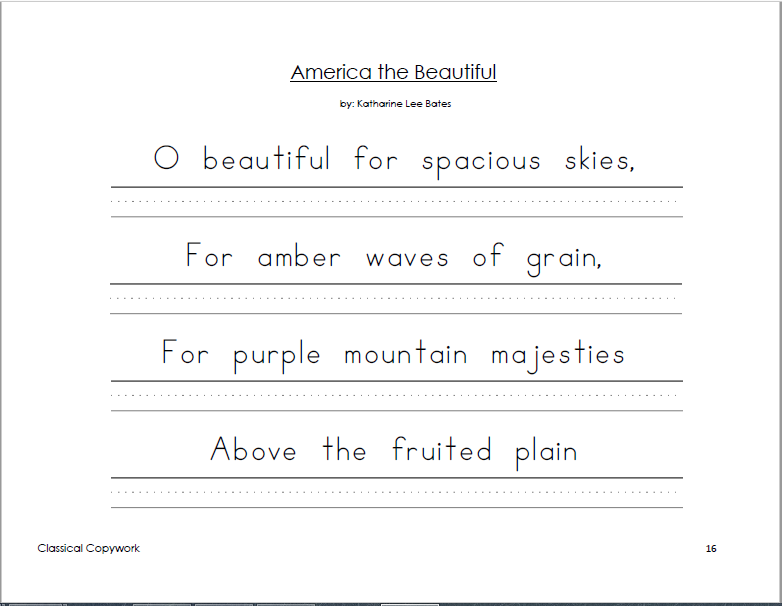 Simply have they copy the stanza or phrase you are memorizing that day. 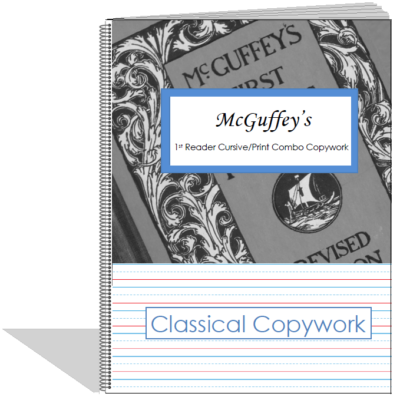 Copywork is a fantastic way to help your child master reading, penmanship, grammar, and spelling all at the same time simply and subtly.